We have a large selection of the most requested Buick and GMC parts in Villa Park. Call us at 630-984-7156, and we’ll check on pricing and availability. And if we don’t have the Buick and GMC part you’re looking for, we’ll find it for you. 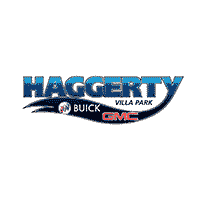 At Haggerty Buick GMC, we’re your one-stop shop for auto parts. Whether you need brake pads, oil filters, or anything else, we’ll help you find the right part for your vehicle. Fill out the online form below and a service professional will get back to you soon.